Mark Korte, Principal with Scheffel & Company, PC, recently presented to members of the Southern Illinois Builders Association (SIBA). Korte covered best practices for companies to prevent fraud. Each year fraud costs the construction industry billions of dollars in lost revenue. 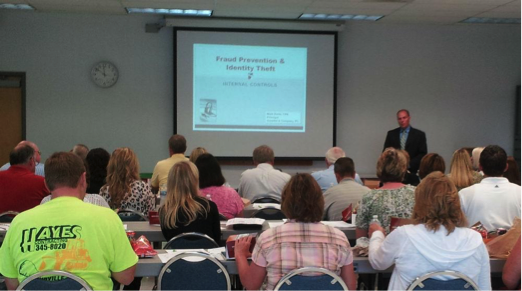 Contact us at info@scheffelpc if you would like Korte to speak with your company about fraud prevention.